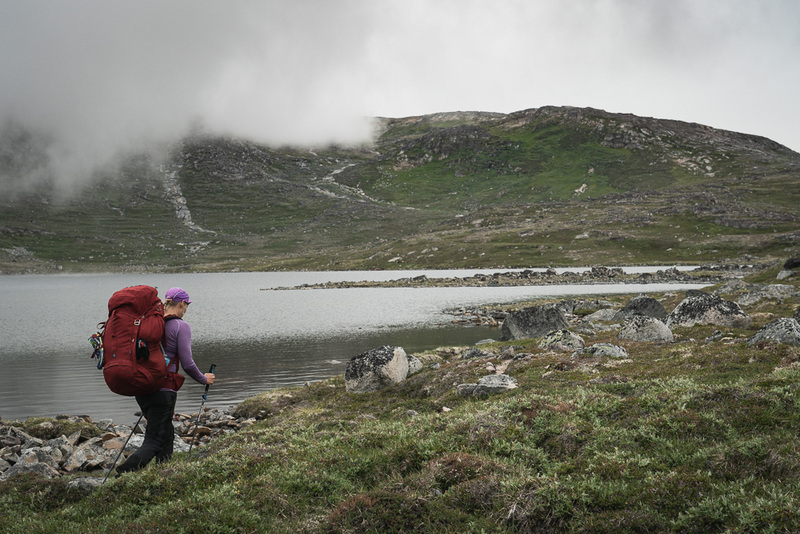 South Greenland – trekking in a land filled with breathtaking history and nature. 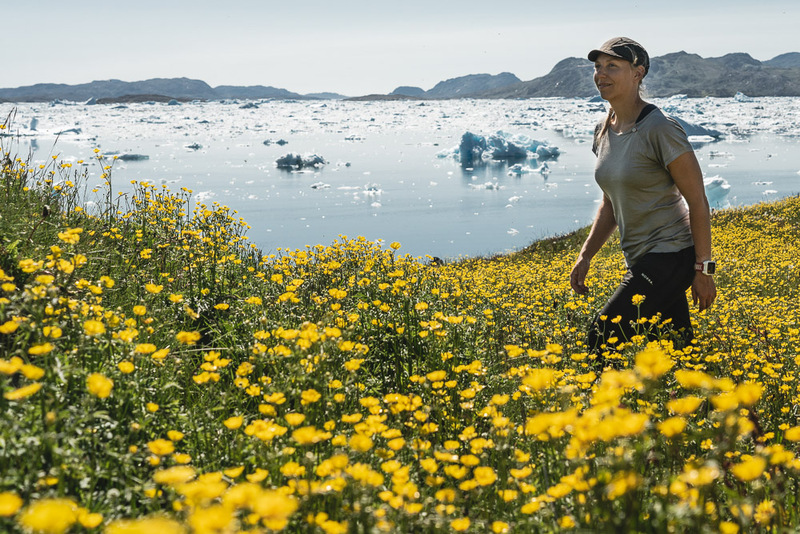 After visiting the area in the summer of 2018, I absolutely fell in love with the Greenlandic nature! We have now decided to return to continue exploring the country and you are welcome to join! Scroll down to read more about the plan for 2019. Please let me know if you are interested in joining, we have room for 8 people. Continue to read further down to get more information about the plan for the different days and the different places we are getting to. When Erik the Red returned from Greenland to Iceland around 985 A.D. after his exile had expired, he is said to intentionally have given Greenland a more appealing name than ”Iceland” because ”people would be attracted to go there if it had a favorable name” he explained. 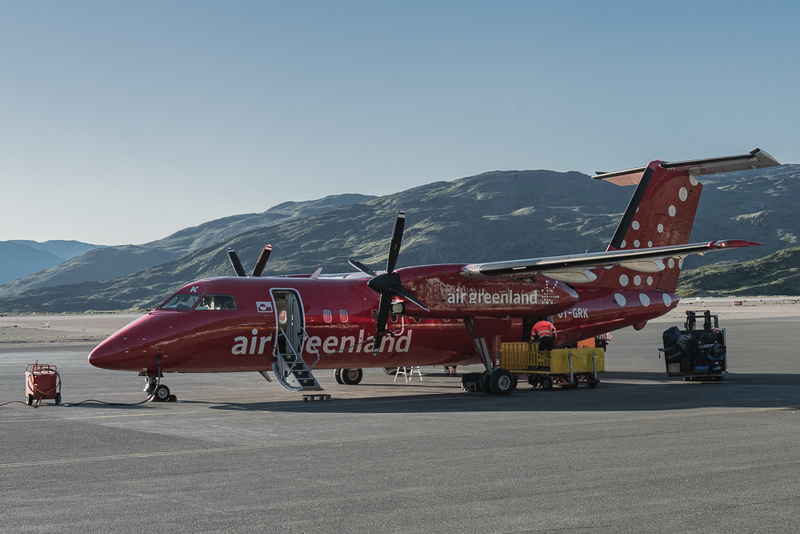 After arriving from Copenhagen to Narsarsuaq we will check in at Hotel Narsarsuaq Close to the Airport. 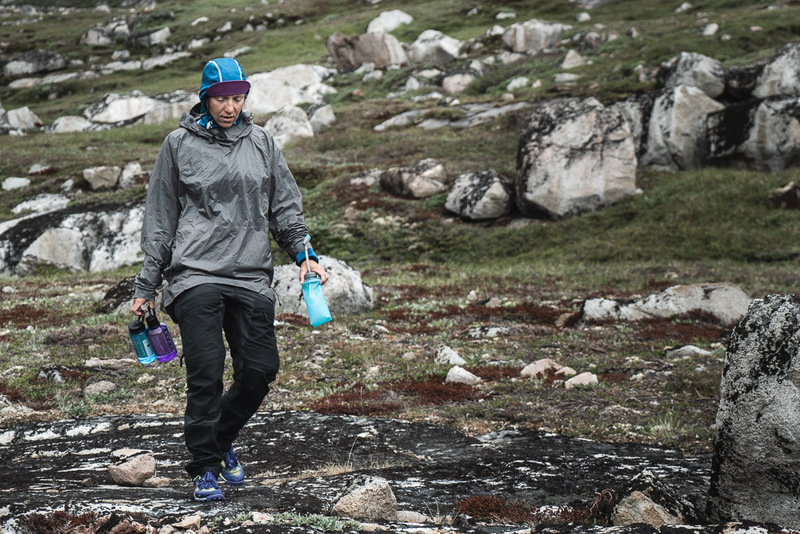 The rest of the day is spent exploring the surrounding area and preparing for the upcoming Days on the trails. 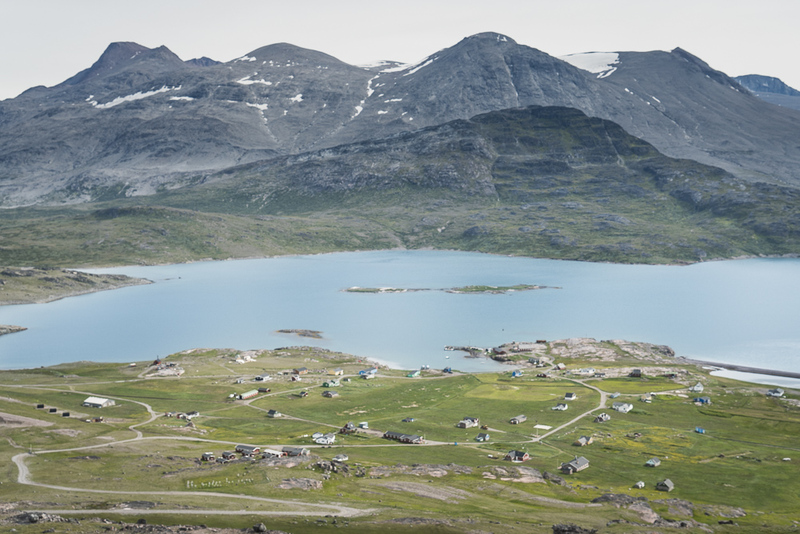 ”Narsarsuaq was founded as a military base and airfield by the Americans in 1941. It quickly became the headquarters of the American forces in Greenland and was code named Bluie West 1. 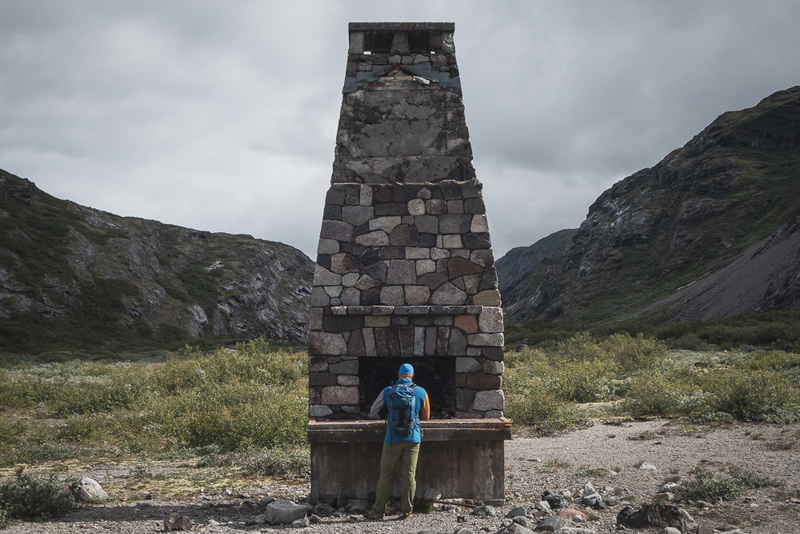 The location exactly halfway between Labrador in Canada and Reykjavik in Iceland made it an important “stepping stone” in the air route used to ferry planes and supplies between the United States and Britain. There were many stopovers in Narsarsuaq throughout the war years. During the period 1943–44, it was not unusual to see 50–100 planes land and take off daily, and a record of 130 aircraft passed through Narsarsuaq on the 4th of July 1943. 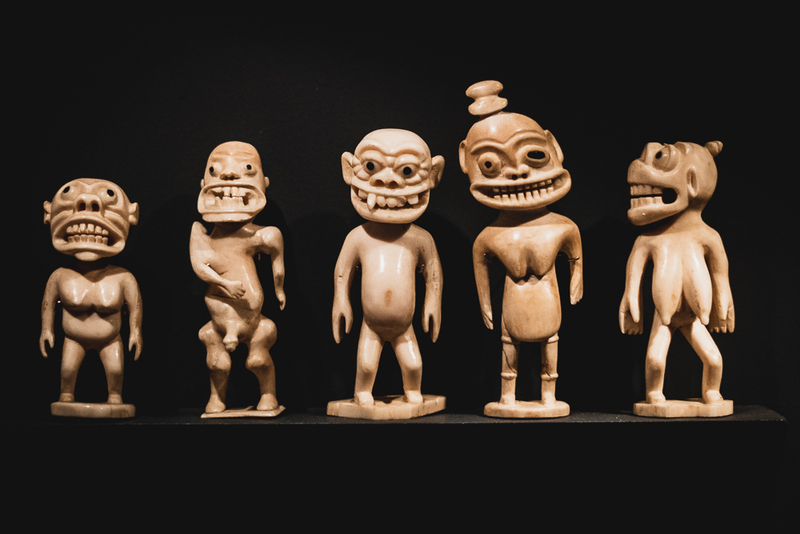 ᑐᐱᓚ or a tupilaq is an avenging monster made by a shaman by using various objects such as animal parts like bone or even parts taken from the corpses of children. 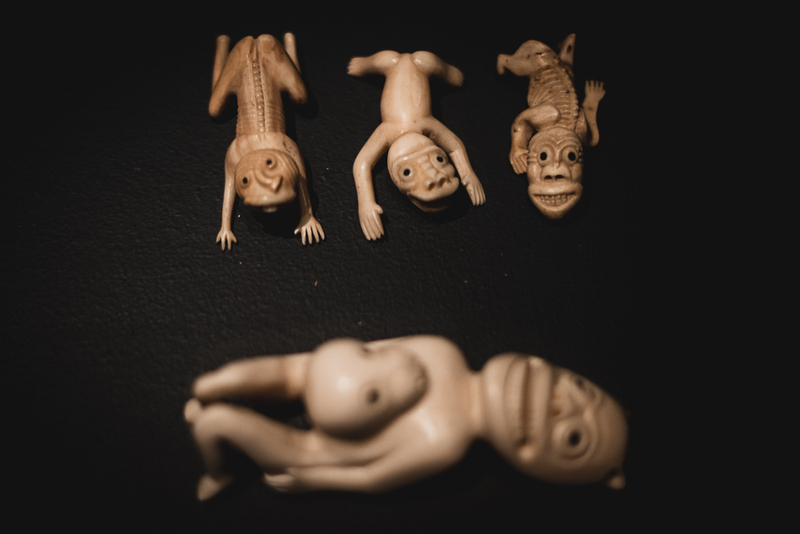 The creature was given life by ritualistic chants. It was then placed into the sea to seek and destroy a specific enemy. 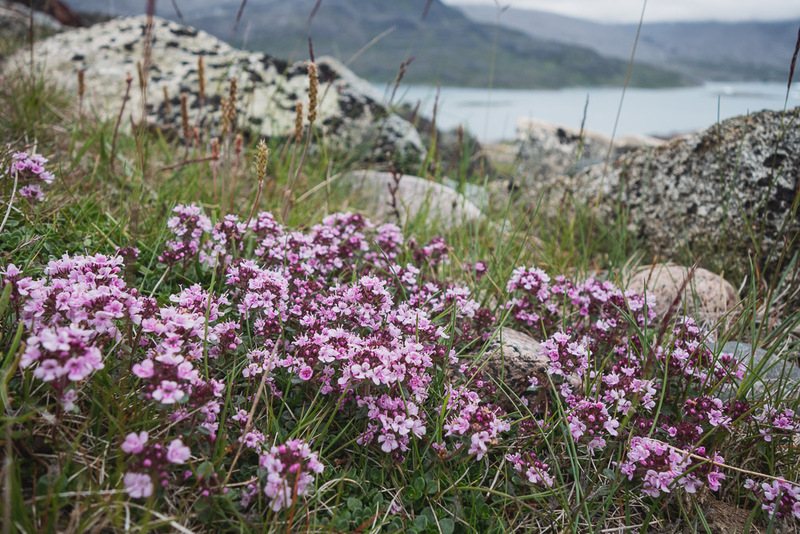 We start the day by taking a boat across the fjord from Narsarsuaq to Qassiarsuk. Qassiarsuk, also known as Brattahlíð is the place where Eric the Red settled in 982. 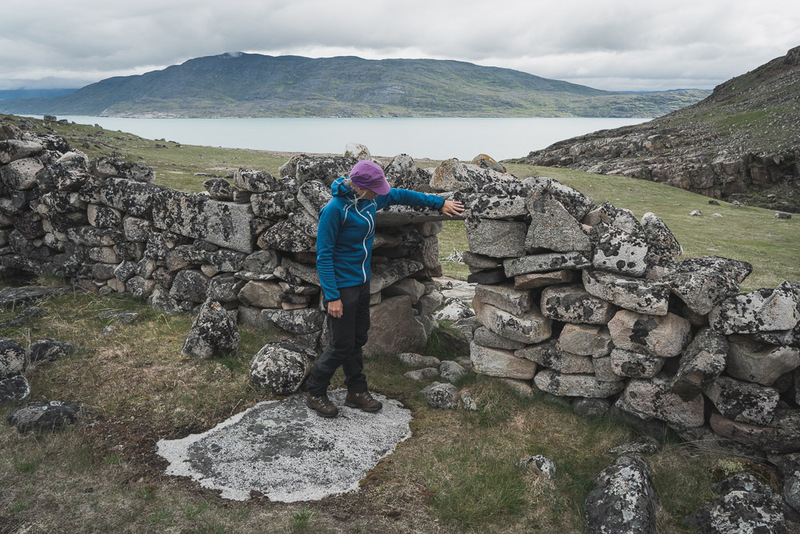 We spend some time exploring the old settlement before we start our journey towards Narsaq by foot. 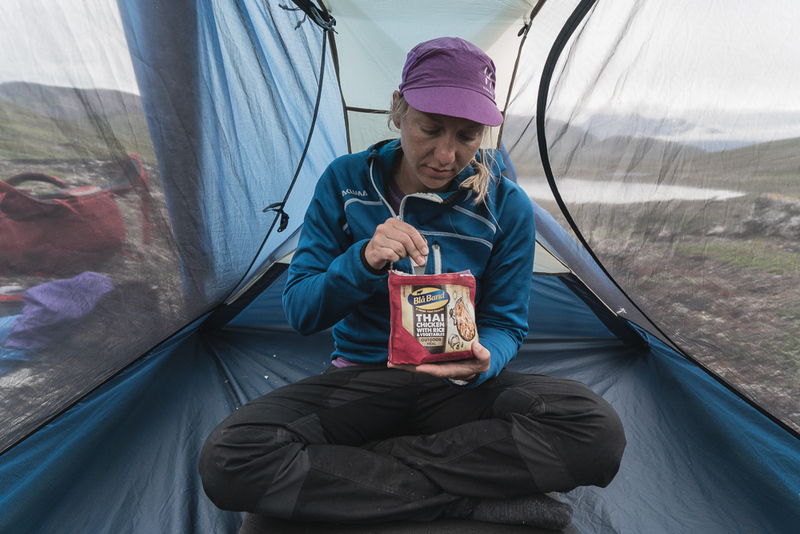 The nights are spent in tents and we use our stoves to make food along the way. 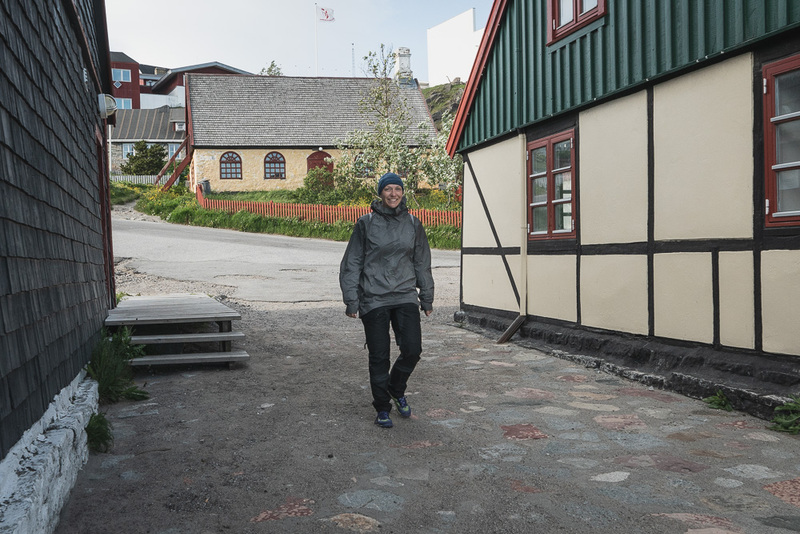 When we reach Narsaq we check in at a guest house where we can get some rest an have a warm shower. The total trekking distance is about 60 km. Brattahlíð, ”the steep slope”, Erik the Red and his descendants lived at this farm until about the mid-15th century. The exact causes of the disappearance of the Norse settlements toward the end of the 15th century remain unverified. ”According to the sagas, Erik the Red arrived in South Greenland in 982. 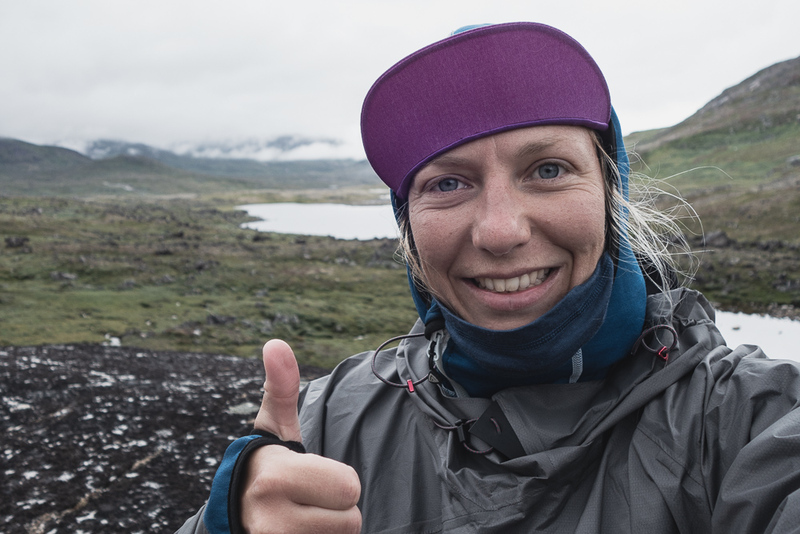 Before that, he had been outlawed in Iceland for three years, and he decided to leave the country and spend his time in exile exploring the unknown land that he had heard rumours about west of Iceland. 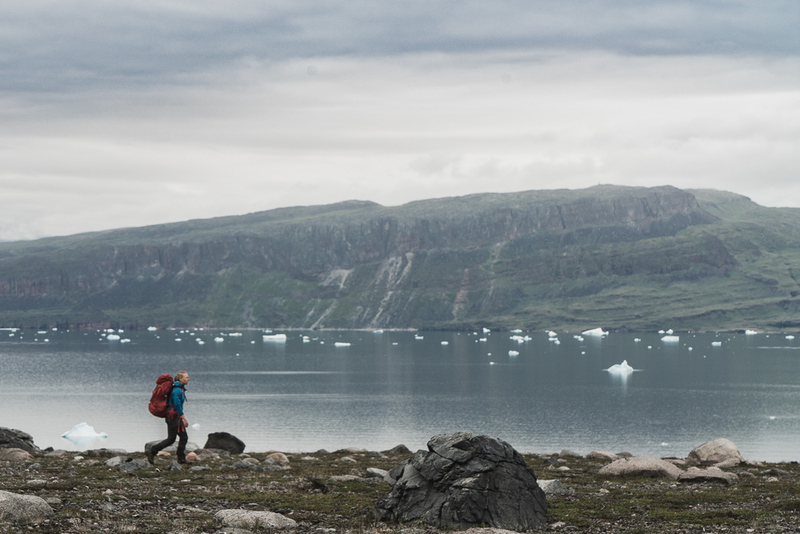 Erik first reached the rough and inaccessible east coast of Greenland. 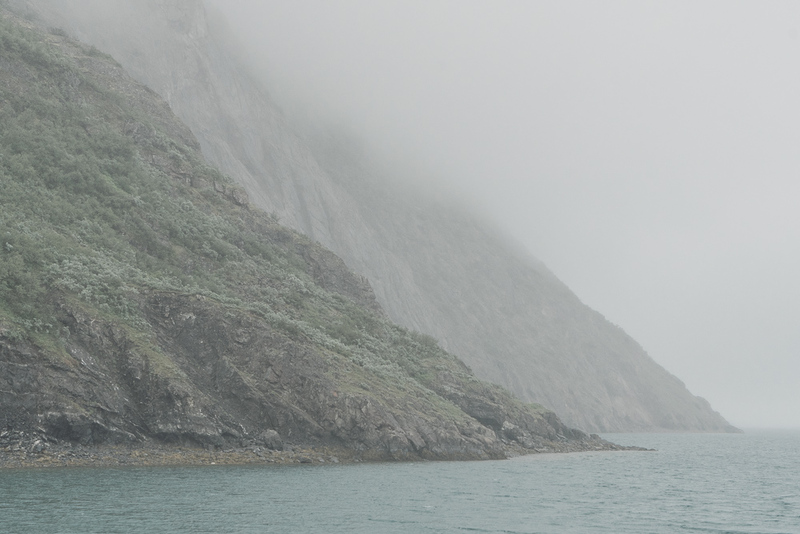 However, he continued south around Cape Farewell and sailed into the fjords of South Greenland. Here the climate was mild and the land looked much greener and more fertile than the barren West Iceland he came from. 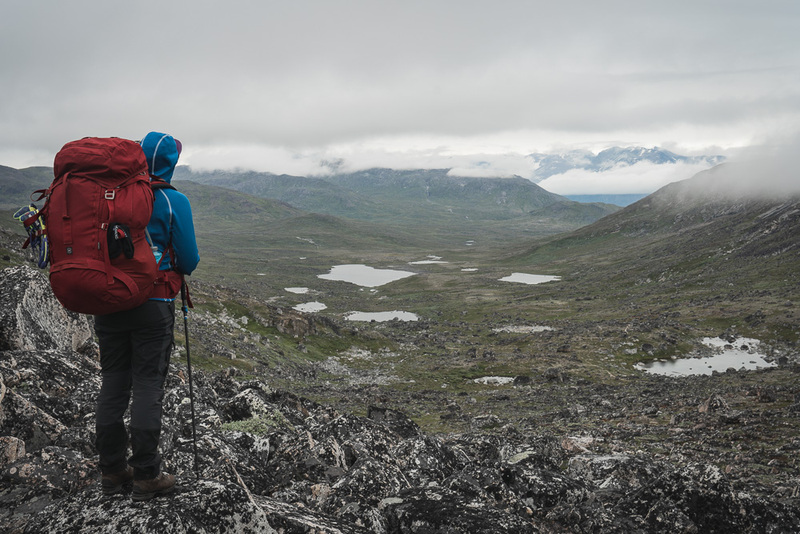 Over the next three years, Erik explored the countryside and fjords. Then he returned to Iceland, where he persuaded friends and family to follow him to Greenland, as he chose to name the new country. 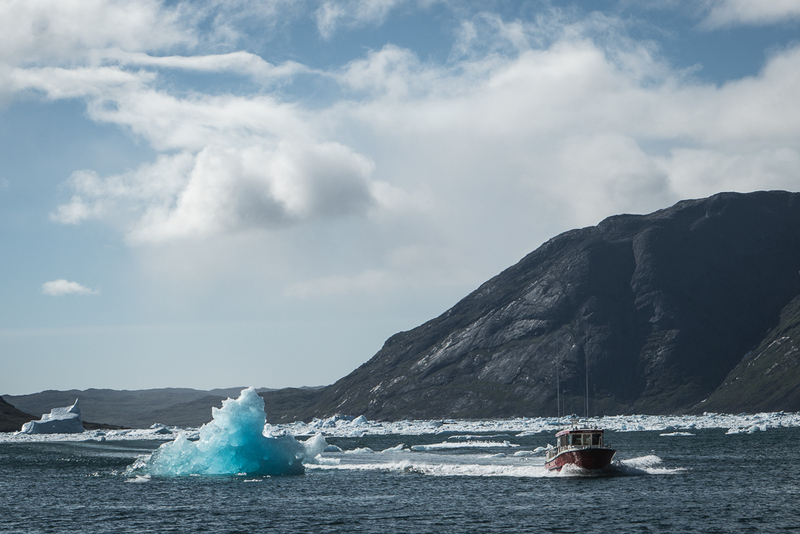 The sagas recount that 25 ships set sail from Iceland, but only 14 arrived in South Greenland. It is said that Erik built his farm Brattahlid on the slopes of present-day Qassiarsuk. Around year 1000, Leif (the son of Erik) returned to his home at Brattahlid after a visit to the Norwegian king. He had been baptised in Norway and now brought Christianity with him to the Greenlandic Vikings. 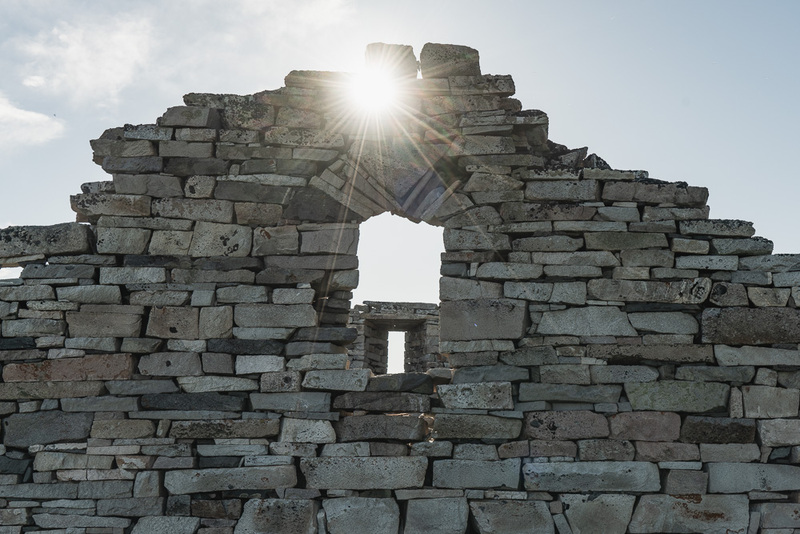 Not everyone was enthusiastic about the new Christian faith, but Tjodhilde (Erik’s wife and Leif’s mother) was baptized and shortly thereafter she had the first Christian church built in Greenland, Tjodhilde’s church. 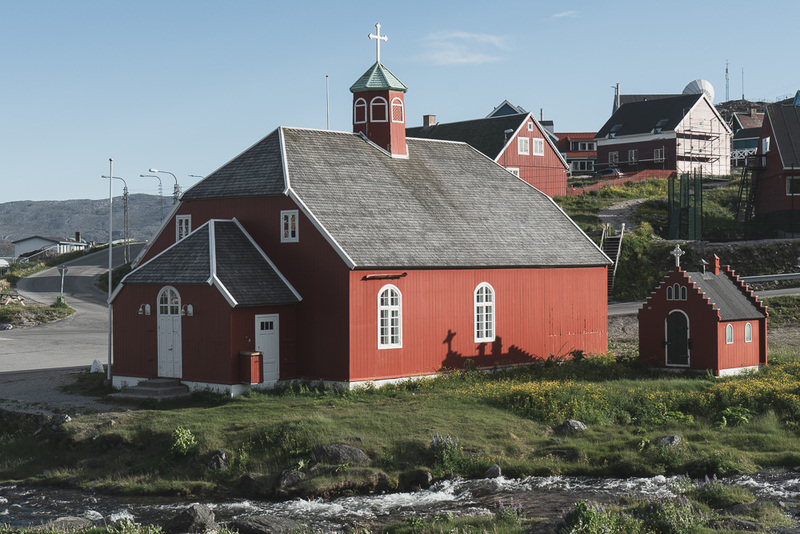 In 2000 a celebration of the 1000th anniversary of the introduction of Christianity to Greenland was held in Qassiarsuk, and a replica of Tjodhilde’s church was consecrated and a Norse longhouse was officially opened to the public. Similarly, the statue of Leif Eriksson (called Leif the Lucky) was erected. This commemorated that it was from here that he sailed to the west and, like his father, discovered new land, which he named Vinland (part of present Canada). 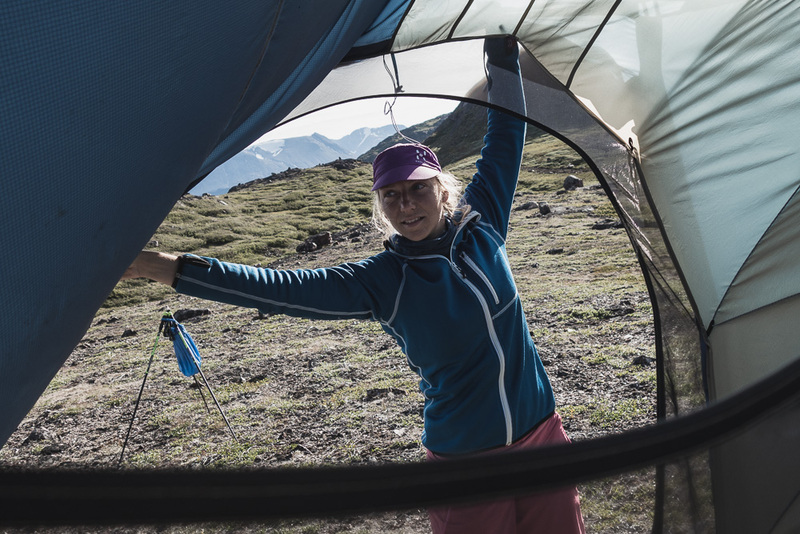 A tent don’t only give protection against wind and rain but also against mosquitos. 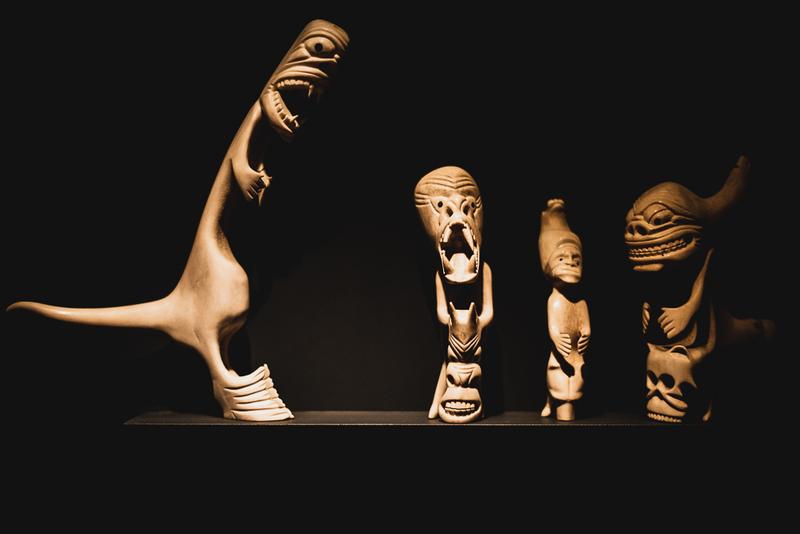 People have lived in the area for thousands of years, but not continuously. Remains of the Norse settlement can be found in the area. The church ruins of Dyrnæs can be found on the north-western outskirts of the town. The Landnám homestead, Landnamsgaarden, can be found immediately to the west of the town. Dated to the year 1000, the homestead is among the oldest of the Norse ruins in the area. Present day Narsaq was founded as Nordprøven in 1830. 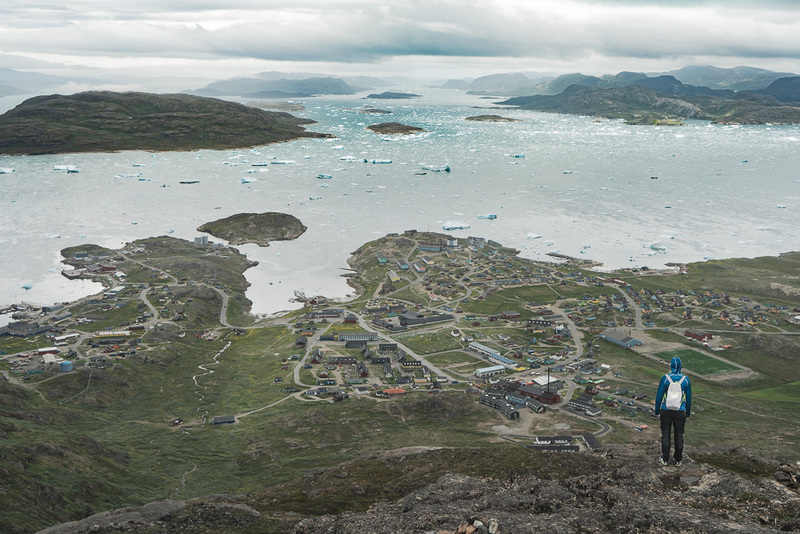 The initial settlement was founded as a trading colony of Qaqortoq. A trading center was established here due to the natural deep water harbor which could accommodate ocean faring vessels, . Initially local seal hunters traded blubber and seal skin for continental goods, such as coffee, sugar, bread and buckwheat. 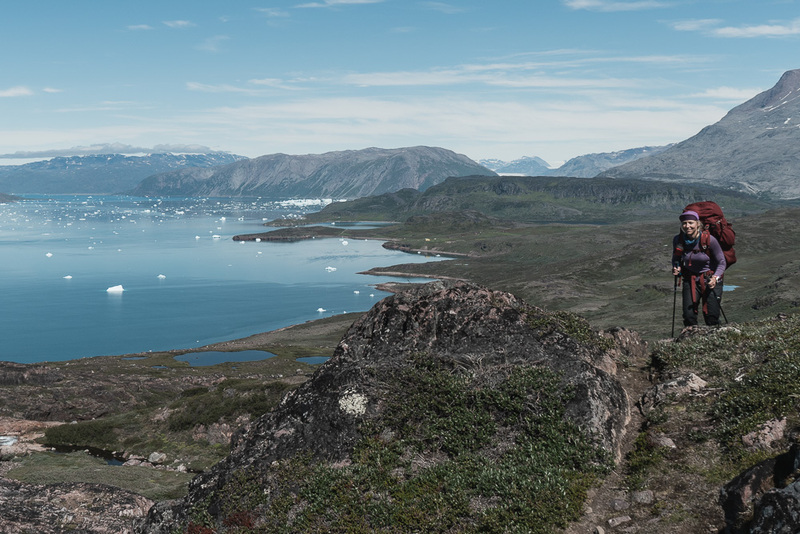 Narsaq from the top of Tasiigaaq. After breakfast we will catch a boat from Narsaq to Qaqortoq. Depending a Little bit on the weather, this journey takes about an hour an is absolutely stunning! 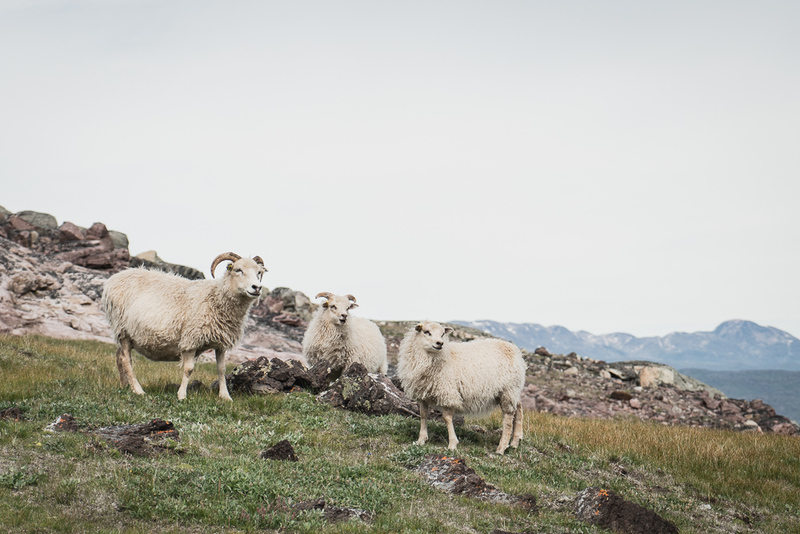 In Qaqortoq we have some time to stock up on our food and have a look on the surroundings. We will spend the night at Siniffik-Inn. 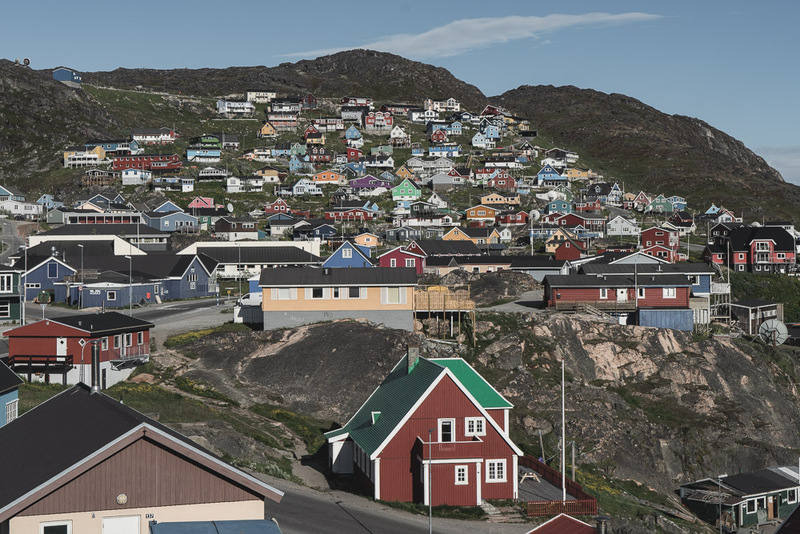 Qaqortoq, formerly Julianehåb, is with a population of 3100 people the most populous town in southern Greenland and the fourth-largest town on the island. In the morning we have breakfast at the guest house before we head out on the trails again. 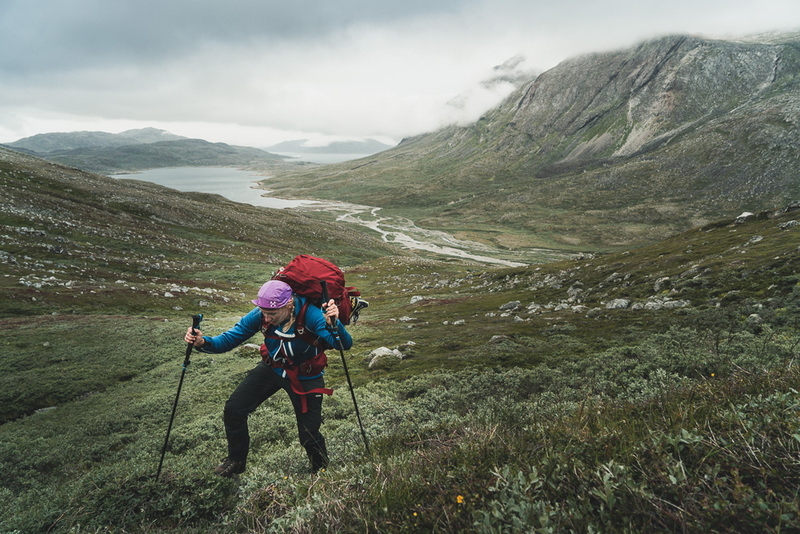 This is the longest part by foot and we are unsupported for five days. 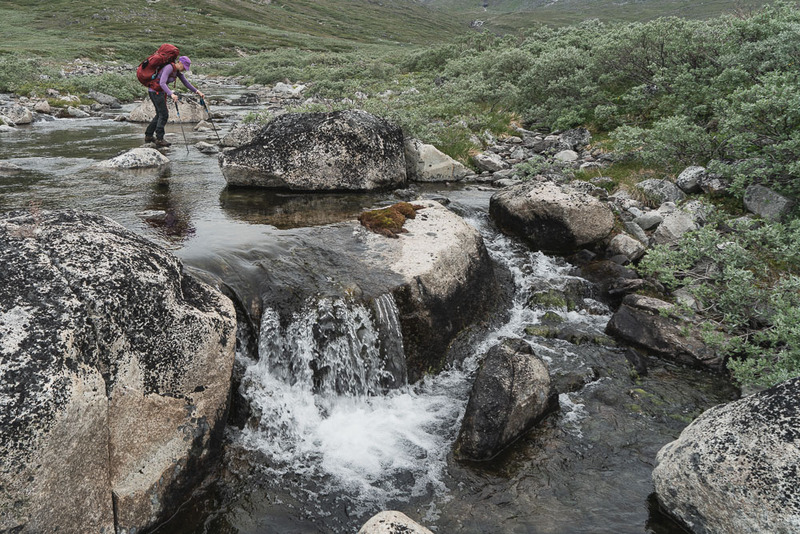 To mention some of the spots we will visit along the way, we will see the Hvalsey Church and the Sissarluttoq ruins. Apart from the historic and cultural sights the nature is also absolutely fantastic! The total trekking distance is about 75 km. 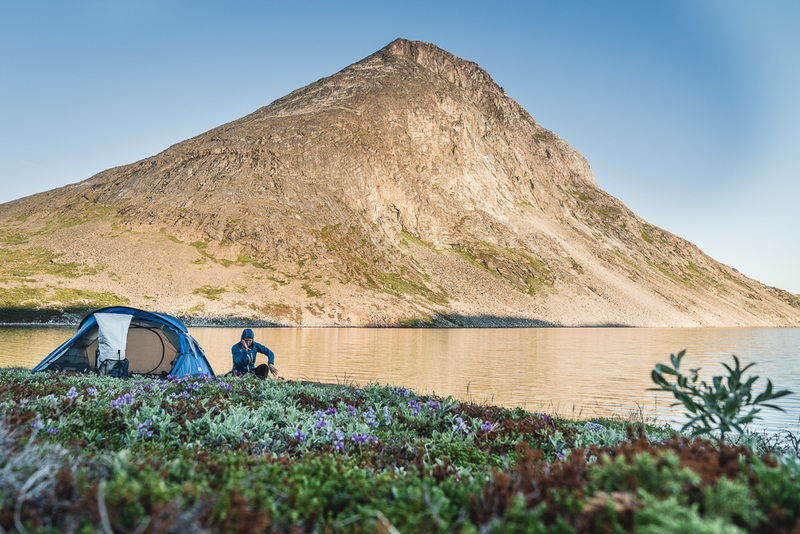 The first campsite between Qaqortoq and Igaliku. Naajat Qaqqaat, 678 m a.s.l. in the background. 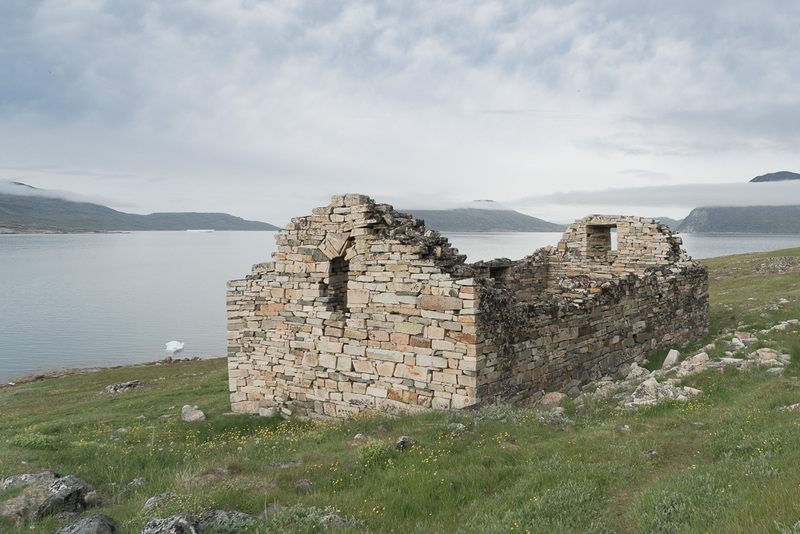 Hvalsey Church is the best preserved Norse ruins in Greenland. 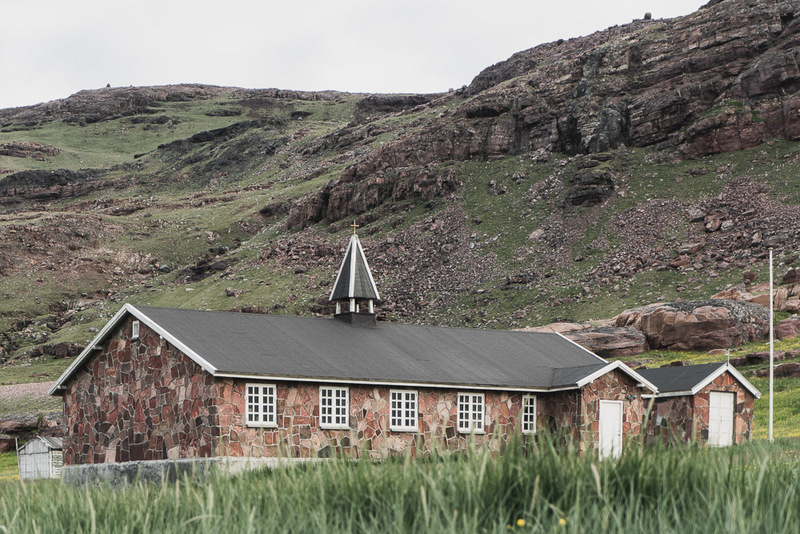 The Church is the location of the last written record of the Greenlandic Norse. A wedding did take place here between Thorstein Olafsson and Sigrid Björnsdóttir, 14 or 16 September 1408. After this wedding no one knows what happened to the Norsemen. 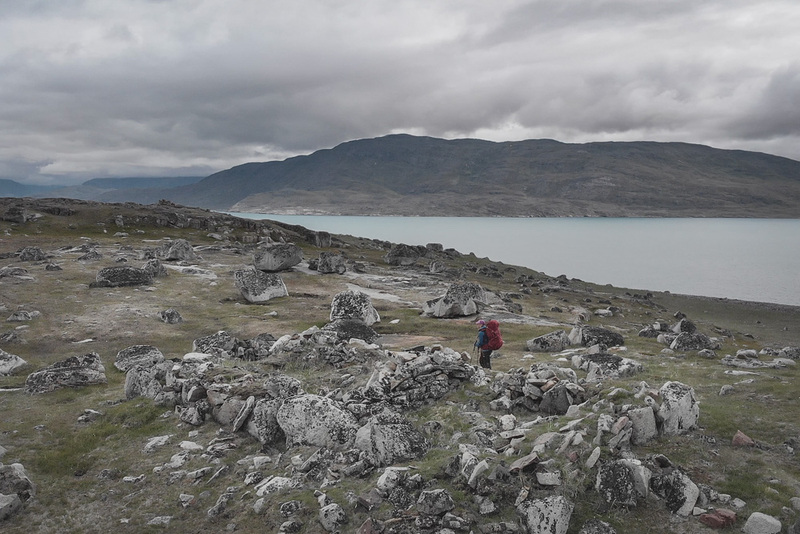 ”Hvalsey (”Whale Island”; Greenlandic Qaqortukulooq) is the site of Greenland’s largest, best-preserved Norse ruins in the area known as the Eastern Settlement (Eystribyggð). According to the Icelandic Book of Settlements (Landnámabók), the farmstead was established by Erik the Red’s uncle, Þorkell (Thorkell) Farserkur in the late 10th century. The farmstead was known as Þjóðhildarstaðir (Thjódhildsstead) by the time of Ivar Bardarson’s report of ca 1360/64. In the 14th century, it belonged to the Kings of Norway. 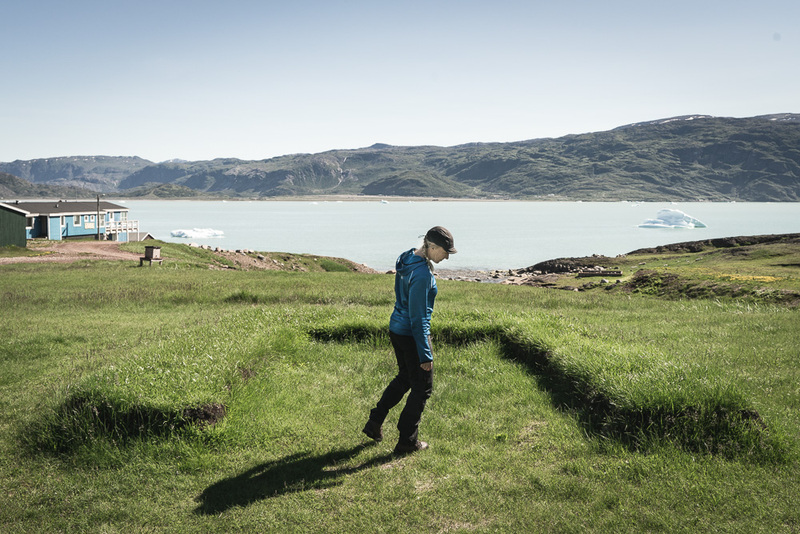 The farmstead was a major center in South Greenland. The site, which has the ruins of two stone great halls, had an additional 14 houses close to a churchhouse. The old hall, which is 14 metres (46 ft) long and 3 metres (9.8 ft) or 4 metres (13 ft) wide, is in the middle of the ruins. The well-preserved newer hall measures 8 metres (26 ft) by 5 metres (16 ft). The church house, which was first erected in the early 12th century, might have been built by Scots-Norse stonemasons as similar structures are found in Norway and Orkney. The church might have been maintained due to the site’s royal ownership. A 1408 wedding at the site’s church is the last documented event to occur during the Norse settlement of Greenland. Two years later the Icelandic newlyweds, ship’s captain Þorsteinn Ólafsson and Sigríður Björnsdóttir, returned to Norway, before sailing to Iceland and settling on the bride’s family farm at Akrar, north Iceland, in 1413. The details were recorded in letters between papal dignitaries in Iceland and the Vatican. Leaving Qaqortukulooq and Tasiusaq behind us and aiming for the small lakes at 500 m a.s.l. 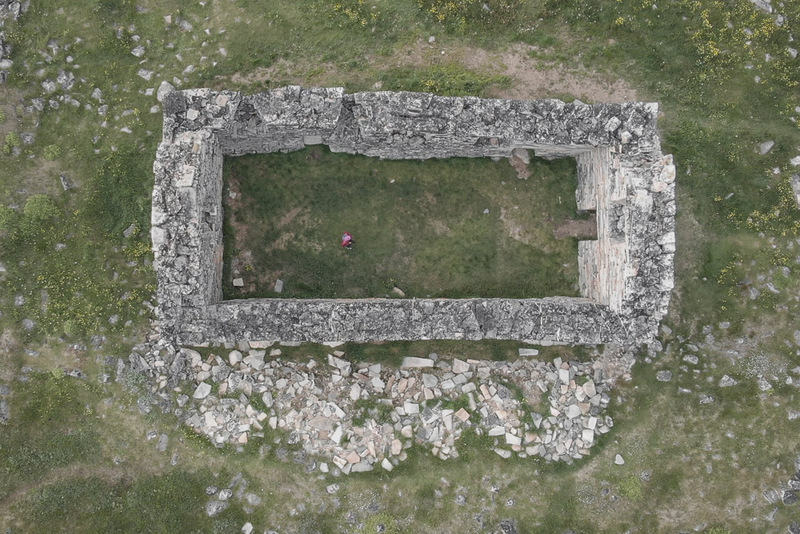 One of more than 40 ruins in Sissarluttoq. The walls may not look so high, but this is just the top of the wall. The 800 years that have passed since the Norsemen lived here have actually buried 1.5 – 2 meters of the walls underground. 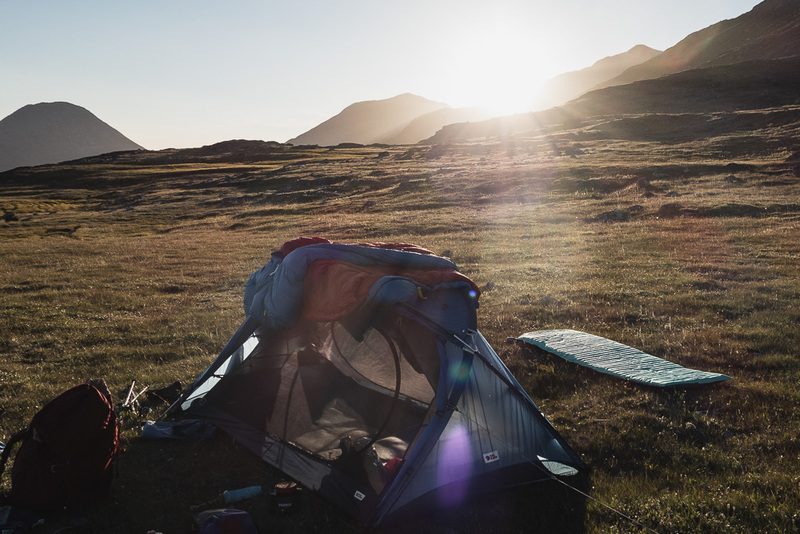 The last night camp gives a majestic view over Tunulliarfik and the sunset. In Igaliku we will spend the night at Igaliku Country Hotel where we can also enjoy a great meal of local specialites. The first view of Igaliku from the trail down to the town. ”When the Norse populated South Greenland, it was Erik the Red’s best friend, Einar, who settled in Igaliku. He named his farm Gardar (which means farm) and it became one of the most important places of settlement during the Norse period. Gardar was home to the parliament of the Norse in Greenland. It was here that court cases were heard and laws were established. After the introduction of Christianity, Gardar became the Episcopal residence. The first bishop of Greenland was appointed by the king of Norway in 1124. 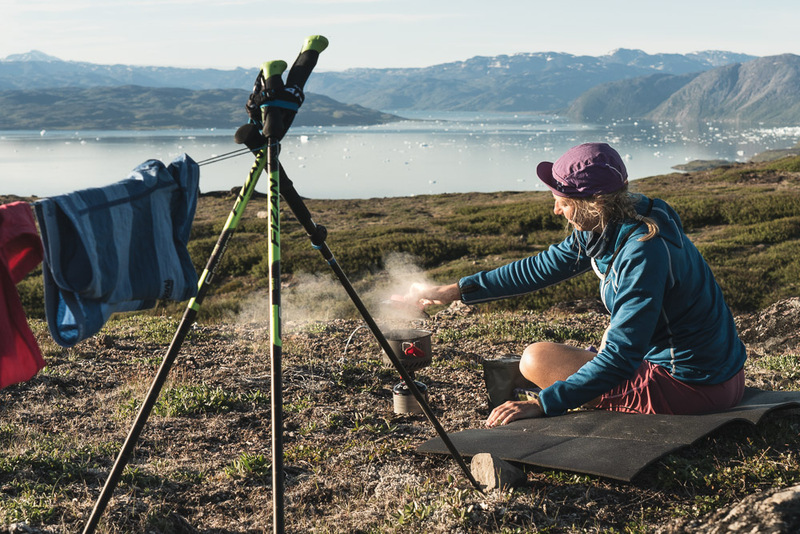 He reached Greenland after a two-year long journey and settled at Gardar. Until 1520, bishops for Greenland were regularly appointed, but from the end of the 14th century they did not actually move to Greenland, but instead resided in Denmark or Norway. 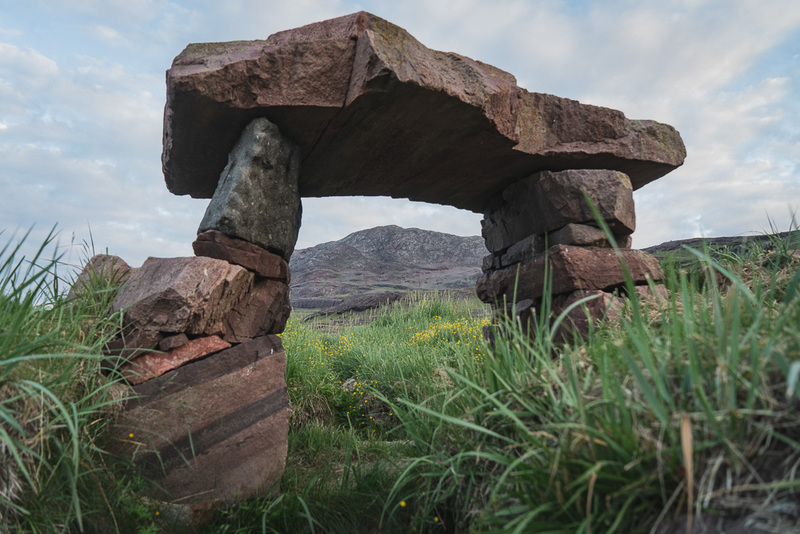 When the ruins around Gardar were excavated in 1926, the skeleton of a bishop was found. He was buried in one of the side chapels of the church with his ring and his crosier. 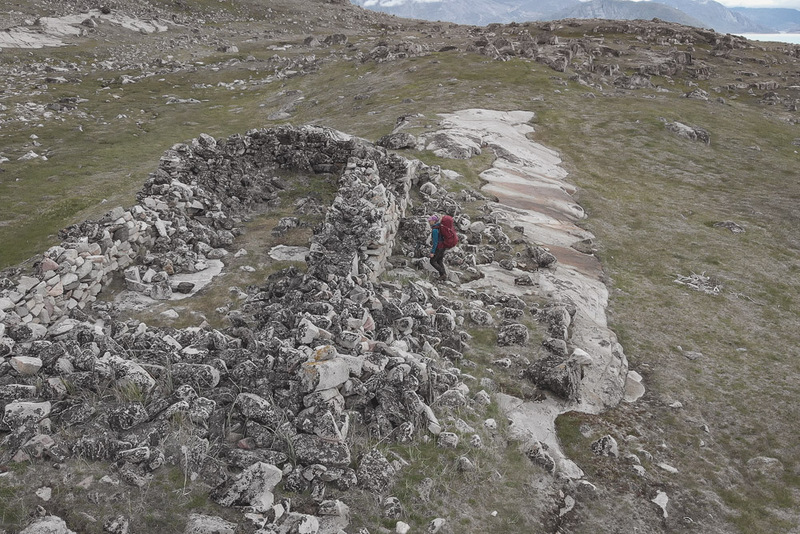 The church ruin in Gardar is the largest found in Greenland (27 x 16 meters). 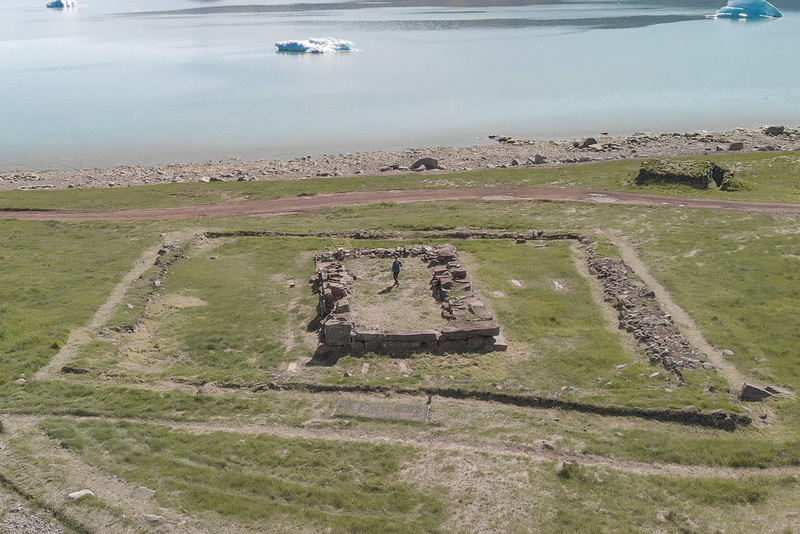 The extent of the ruins at Gardar shows the amount of power that the church wielded in medieval Greenland. No less than 40 ruins are scattered across the plain. Among these is the dwelling of the bishop, which contains a banqueting hall with room for over 100 people! The two stables that have been excavated have room for 40 and 60 cows, respectively. Furthermore, archaeologists have found the remains of dams, water reservoirs and channels on the plain. The irrigation of the grass fields increased the harvest and provided the cows with fodder during the wintertime. 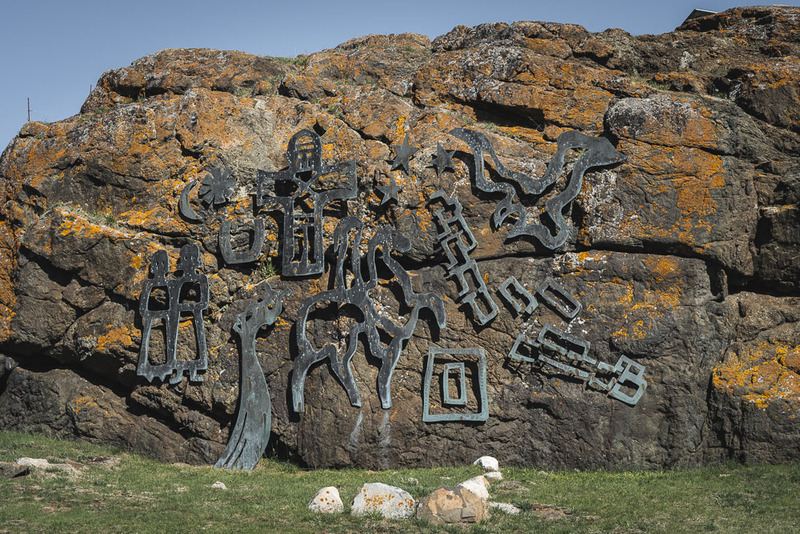 The modern history of Igaliku began in 1782 when a Norwegian man named Anders Olsen and his Greenlandic wife, Tuperna, settled down as cattle farmers. 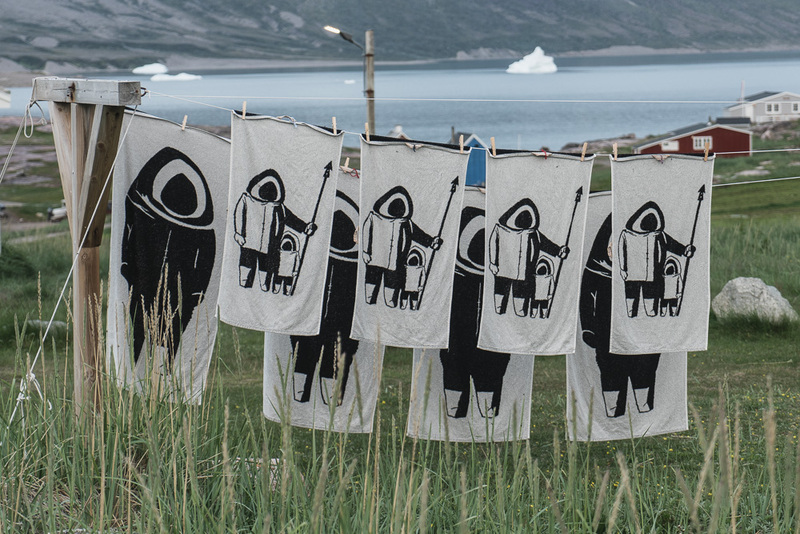 Anders had previously founded several trading centres, including Julianehåb (Qaqortoq), and he was 64 years old when he established himself as a farmer. The descendants of Anders and Tuperna continued as cattle and sheep farmers. The settlement expanded and in 1900 it had 60 inhabitants. By 1950 the population had grown to 146. 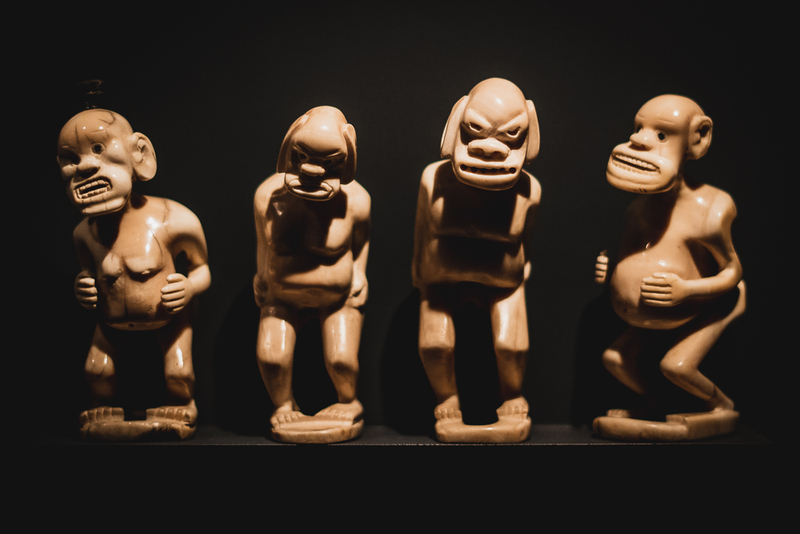 At the time, local inhabitants lived from a combination of agriculture, hunting and fishing. 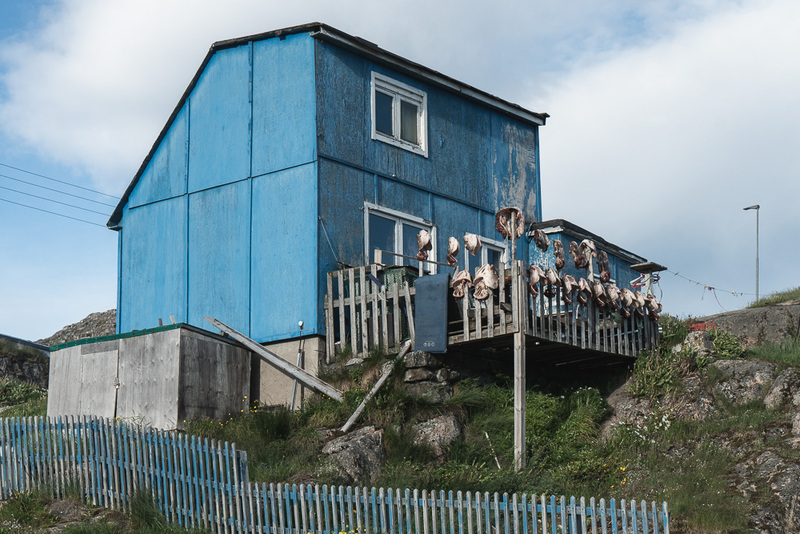 They fished mainly trout, capelin and cod and caught foxes in traps for their skins. After a good breakfast we head towards the harbour some hour away by foot. 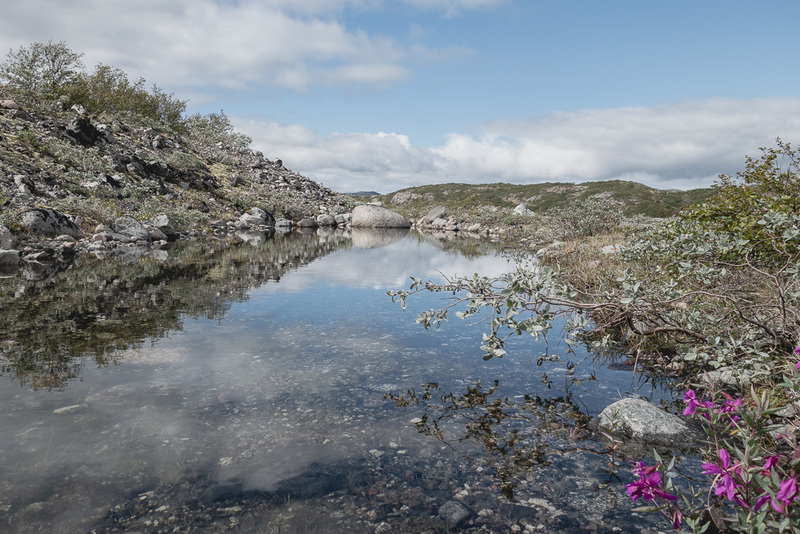 From the harbour we take the boat back to Narsarsuaq where we started and once again check in at Hotel Narsarsuaq. Heading to the harbour in Tunulliarfik for a boat ride to Narsarsuaq. After breakfast we head out in the surrounding areas. 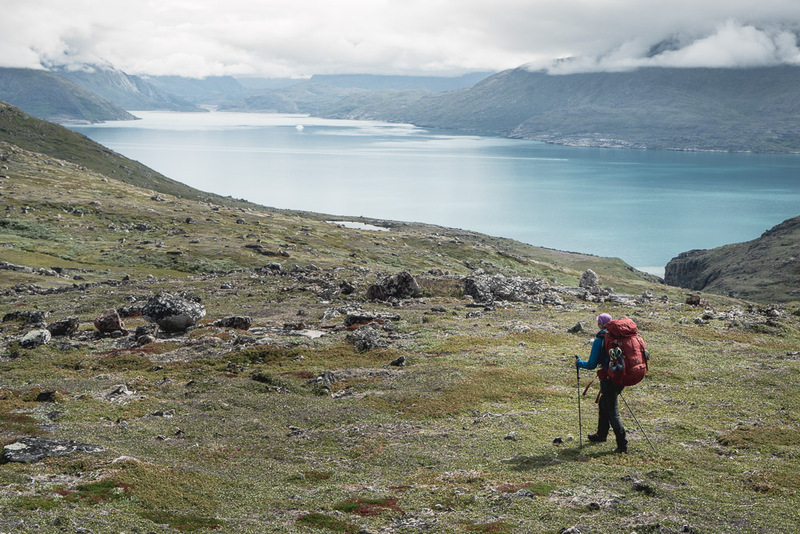 We will probably making a vist to Signal Hill, The Ridge, Hospital Valley, Flower Valley or all the way to Narsarsuaq Glacier. After lunch it’s time to take the flight back to Copenhagen. 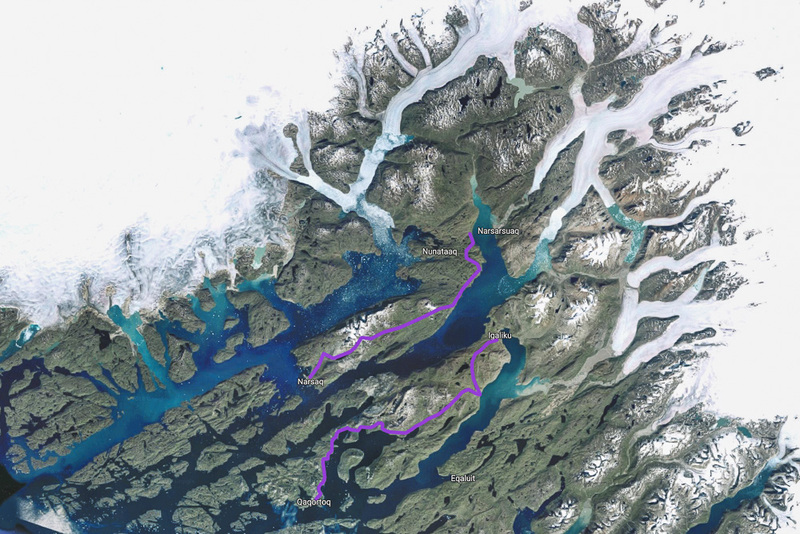 The first part from Qassiarsuk – Narsaq and the second one Narsaq – Qaqortoq marked with purple. Map data: Google. 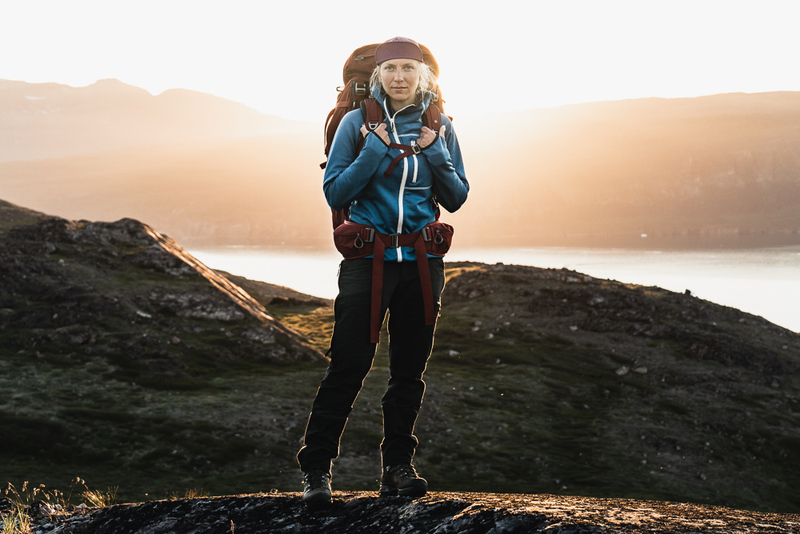 What to bring with you to Greenland? What kind of weather can you expect in Greenland? Hope you would like to join!